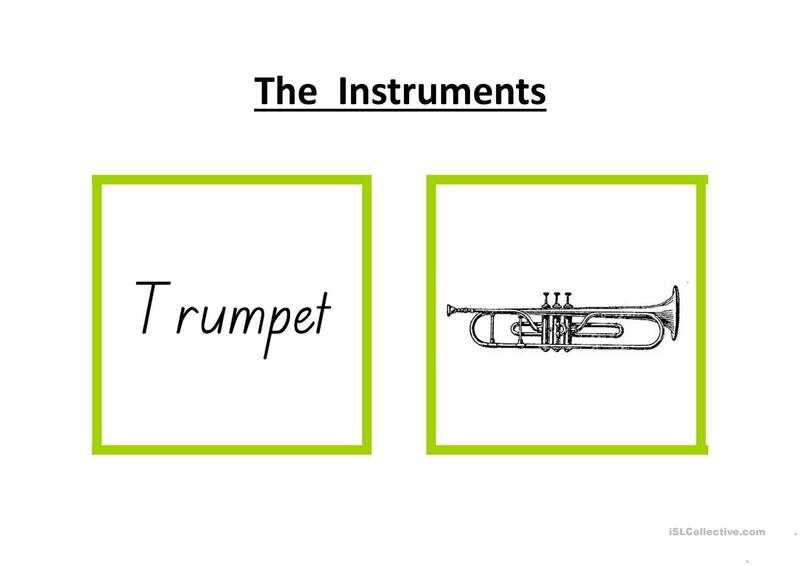 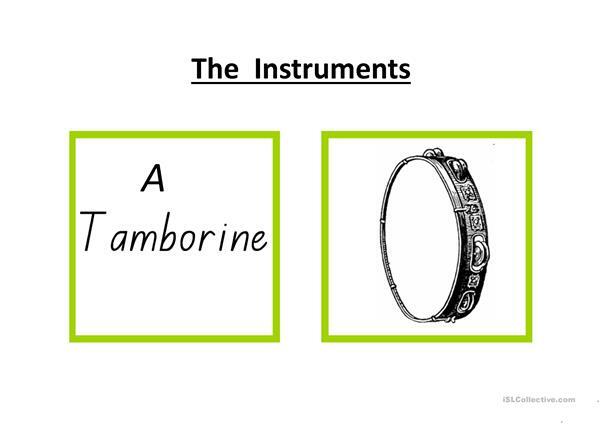 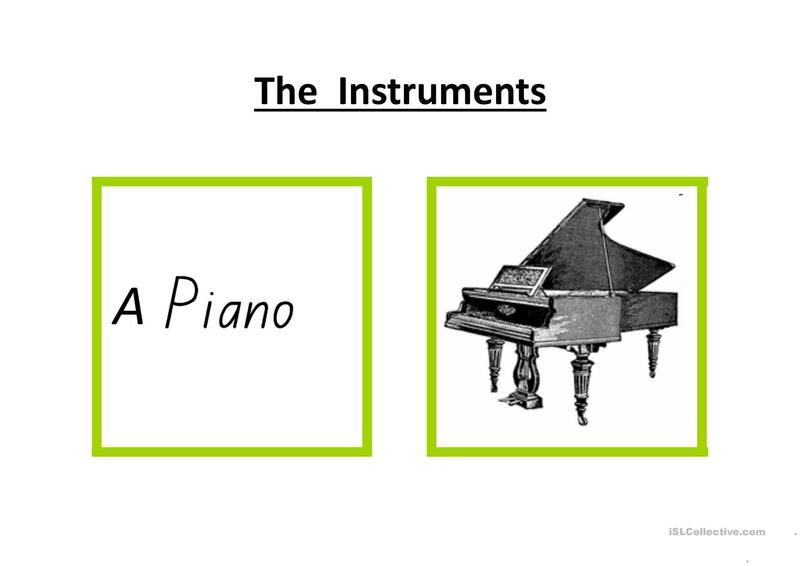 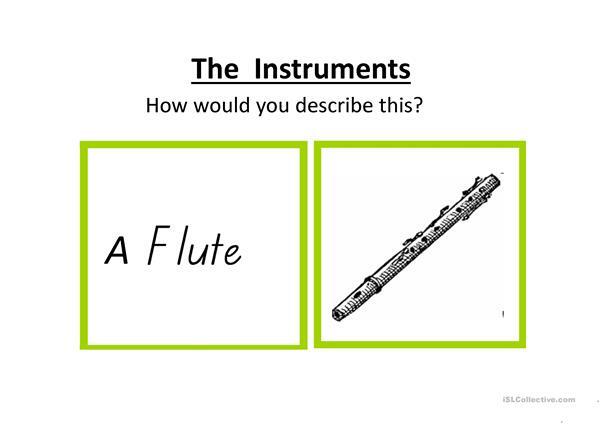 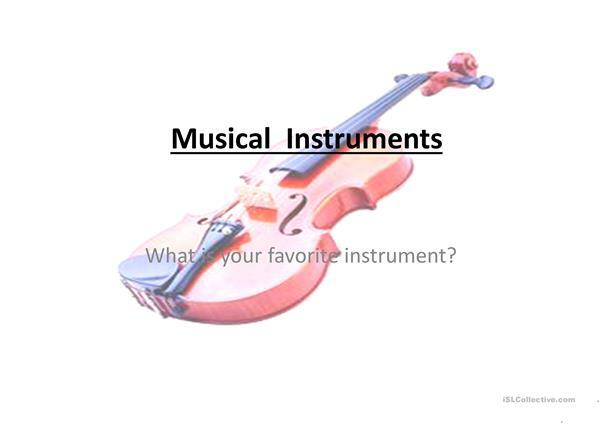 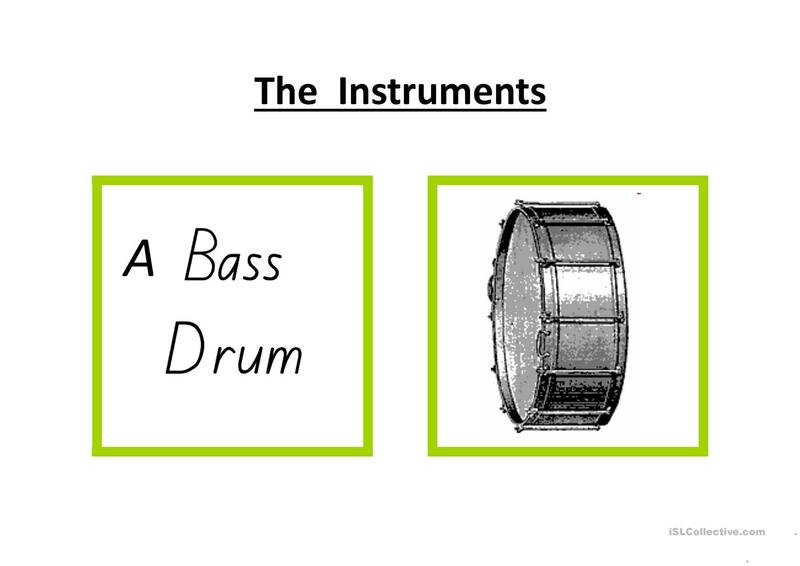 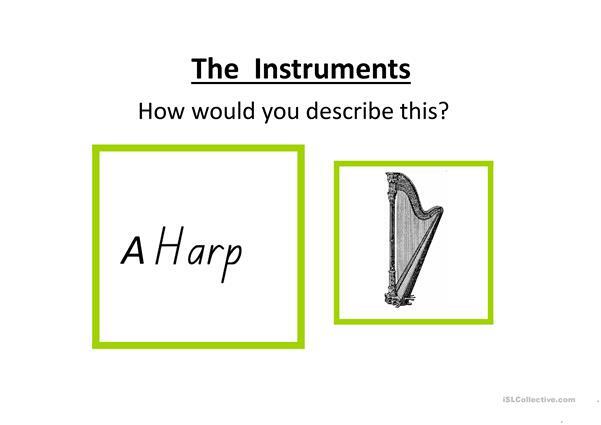 A selection of 12 instruments to help learn the correct articles. 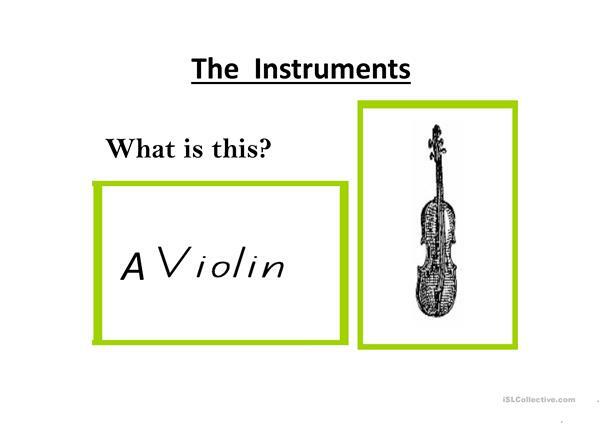 Special section on the violin and its parts and a Q&A to finish. 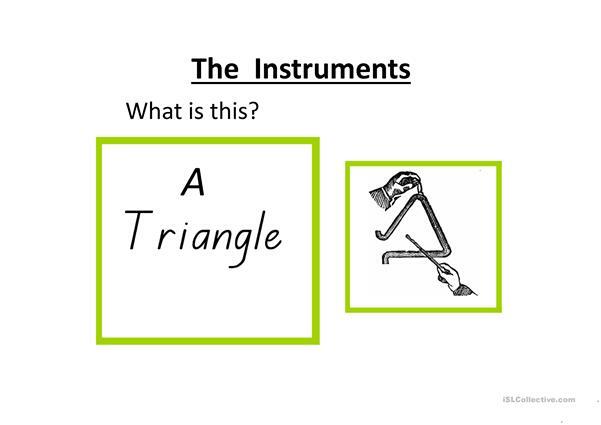 Students must predict the correct indirect article (usually A)or once the zero article. This is to help them use articles in speech. Special section titled The Violin perhaps to highlight a definite article. The present printable, downloadable handout was created for elementary school students at Pre-intermediate (A2) and Intermediate (B1) level. 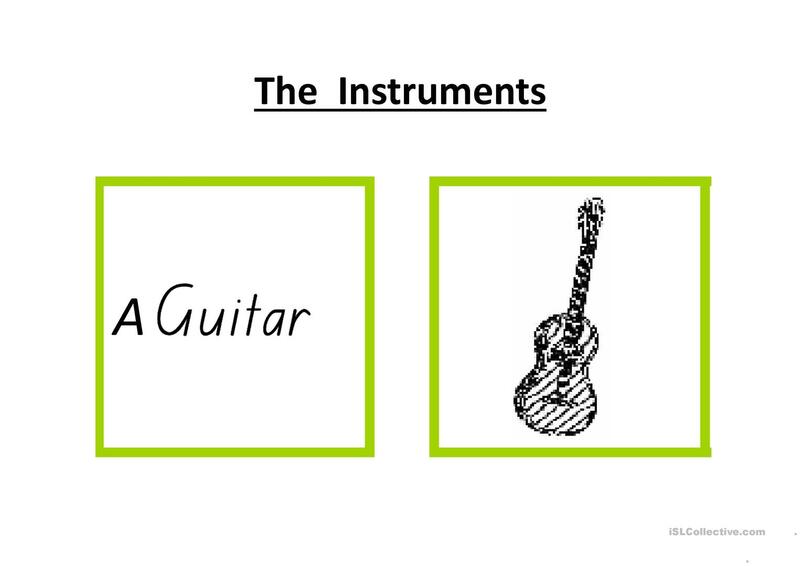 It is a useful material for teaching Articles in English, and is useful for enhancing your groups' Speaking and Reading skills. It is focused on the topic and words of Music.